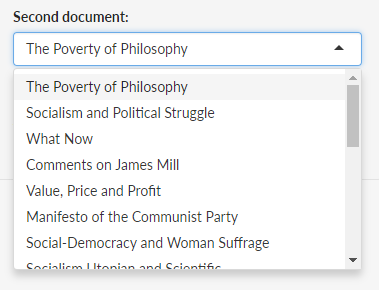 The Topic Flow application offers a comparison of statistically generated topics between two texts. After entering your choices press the “Enter” key or click the “Compare” button. An Alluvial Diagram is generated, illustrating the topical commonalities between the selected works. The document size, or text volume, is indicated by the height of each title on the left side. 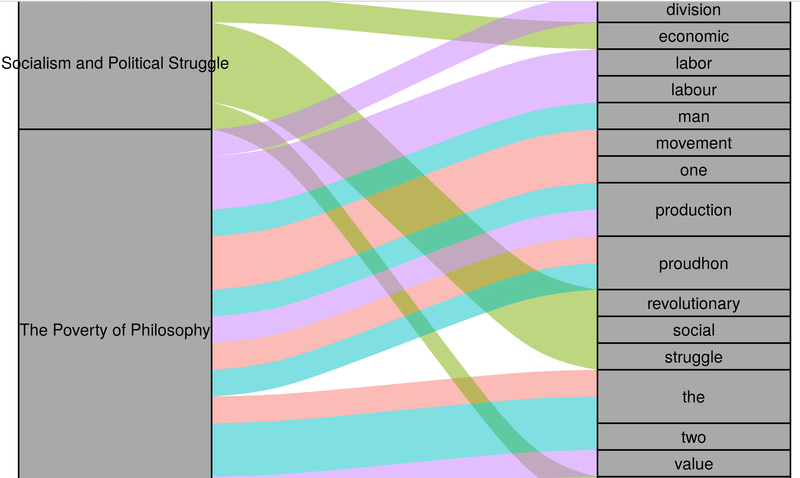 Individual topics are represented by distinctly colored streams, and connect to their corresponding keywords. 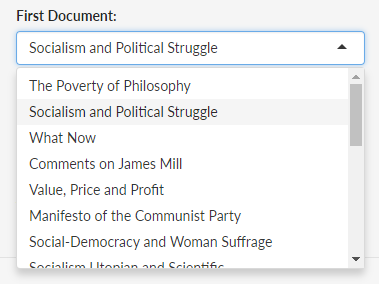 Topics keywords shared between the two documents feature overlapping streams, with the most common keywords appearing at the top of the list. Leading topics are represented by greater stream width. The resulting graphic can be saved by right-clicking with the mouse cursor and selecting “Save image as…” from the popup menu.